Would students learn more if they were grouped together like Little League teams? DEVENS, Mass. — It looks like a typical class in a suburban high school. The teacher, Barbara Curtin, discusses the differences between mean, mode and median while her students at the Francis W. Parker Charter Essential School sit in clusters of three or four at tables around the room. A second teacher, Lorin Hill, is there to help. All fairly standard, but for one dramatic difference — the mix of students. Curtin’s class includes both ninth- and 10th-graders. Sometimes she even has a precocious eighth-grader or two and struggling 11th-graders. 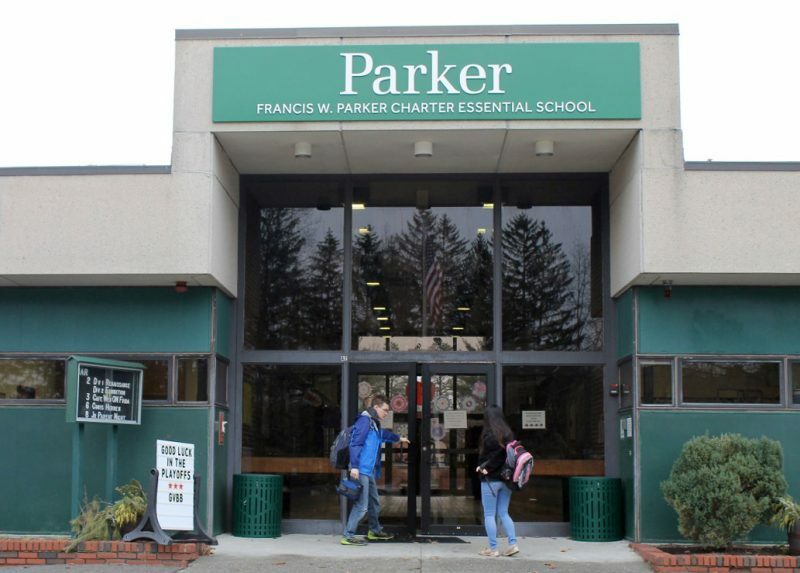 That’s because Parker offers what may be the nation’s most ambitious and comprehensive take on multiage education in middle and high school, breaking grades 7 to 12 into three divisions, with each division blending two grades together. Multiage education is not a return to the one-room schoolhouse of yore, in which students of all ages learned different subjects in one space. Instead, students from (typically) two grades learn together in an environment that, advocates say, encourages cooperation and mentoring while allowing struggling students enough time to master material. A long-time staple of Montessori schools, multiage classrooms spread to progressive elementary schools in the 1990s, although their use was always just one ingredient in a mix intended to provide more personalized instruction. But the movement lost traction in the 2000s, when the No Child Left Behind era imposed more grade-level standardized tests. “The move to standards-based education with testing on grade level has made multiage classrooms really challenging,” says Diane Friedlaender of the Stanford Center for Opportunity Policy in Education at Stanford University. Yet multiage advocates say the traditional approach of dividing students into single grades based on an arbitrary birthdate range is illogical. Children spend much of their time outside school on sports teams or in arts programs that are more age-flexible than classrooms. Little League baseball teams, for instance, might group 5- to 8-year-olds in one division and 9- to 10-year-olds in another, allowing children to “play up” or “play down” based on their skills. Then the same kids go to school and are segregated with others of the exact same age, but not necessarily the same development, and they are all expected to reach certain benchmarks and move on at year’s end, no matter what. “It is hard to understand why schools have such a rigid adherence to that structure and don’t think about child development at all,” says Friedlaender. Advocates say the traditional approach of dividing students into single grades based on arbitrary birthdate ranges is illogical. Children spend much of their time outside school on sports teams or in arts programs that are more age-flexible than classrooms. Multiage education, say its proponents, puts learners at the center, socially and academically. On the social side, younger children look for guidance to older students who know the ropes, while the older students in the classroom organically learn about mentoring, leadership and collaboration. Paula Dallacqua, who is in her first year of teaching a combined ninth- and 10th-grade class at Fannie Lou Hamer Freedom High School in the Bronx, says she tried to create specific moments for mentoring but soon found she was forcing the issue. Fannie Lou Hamer is a small public high school that uses several progressive educational philosophies; the school’s innovations have led to it being named a “Gold” School of Opportunity by the National Education Policy Center in 2015 and a “model school” by the Center for Reform of School Systems in 2016. 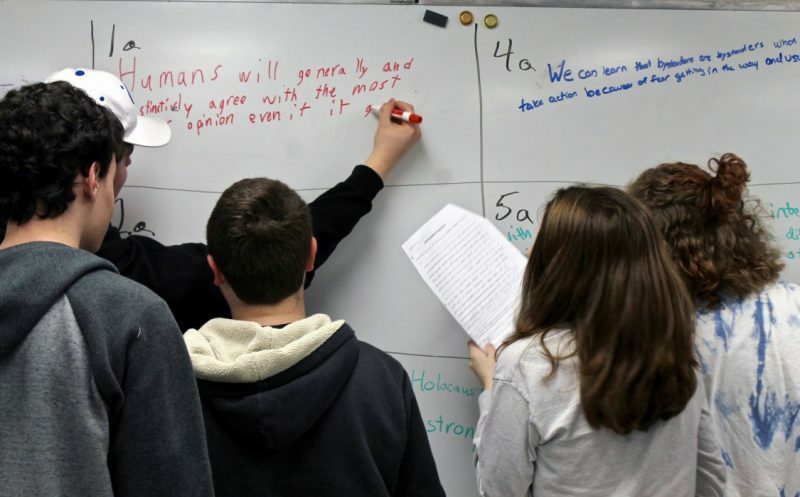 While it merges the ninth and 10th grades, it returns to traditional grade structure for students’ final two years, by which point, it is hoped, struggling students will have had time to catch up. Now Frank is in 10th grade and he passes on his wisdom to the ninth-graders. “He helps me with my math,” classmate Kaleb Stobbs says. Although the ninth- and 10th-graders are mixed together, teachers try to ensure that students in the second year are still challenged. At Parker, math teacher Dawn Crane says a student in the first year of a multiage class might be asked to solve a problem using two different types of functions while a second-year student would be expected to use three different types. Meanwhile, for those who lag behind, multiage education provides a crucial practical and psychological boost by blending two grades, says Nathan Larsen, assistant principal at Fannie Lou Hamer. 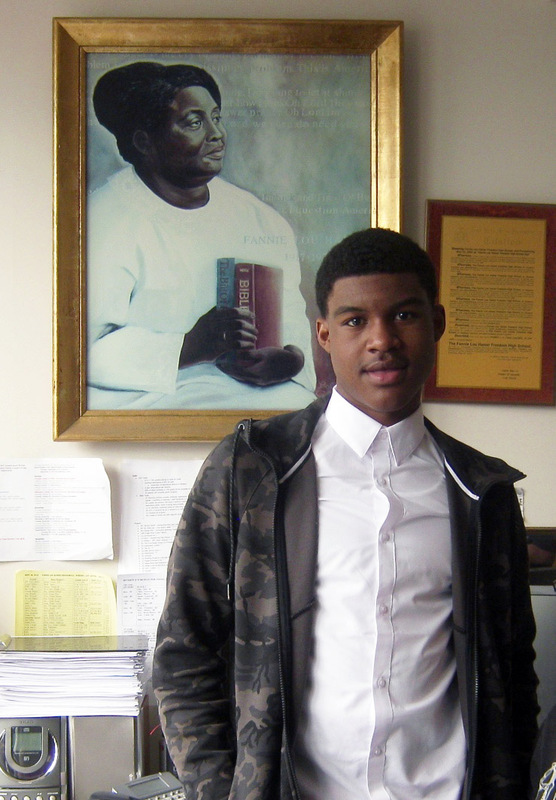 “If ninth grade ends and you are only three-quarters of the way toward mastering the material in a traditional school you will be left back, but here you stay with your class and have time in the second year to catch up,” he says. Parker principal Todd Sumner says that many of his students also have learning issues — one-third have diagnosed learning differences and another 10 to 15 percent have disabilities. Despite that, 95 percent of Parker graduates have gone on to college and 96 percent of those students attend four-year colleges, with more than 85 percent attaining their degree within five years, the school says. Sumner says that approximately three-fourths of his students spend two years in each division but some need more time and return to their division for an extra semester or even an entire extra year. Others may breeze through a division in a year and a half. Sumner allows that the age-segregated world does intrude in the form of standardized tests — his students typically take the state test in eighth and 10th grade and the SAT or ACT in 11th grade, no matter where they are within the school’s three divisions. While he believes that multiage education is beneficial to all students, Sumner says it is most helpful for those who are struggling with a certain subject. “I wanted to go ahead with my friends — they’re my buds — and it wasn’t the best feeling in the world, but by taking the extra time I think I really managed to figure out some of the issues I was going through,” he says. There is challenging work for the teachers as well, since they must buy into the concept of teaching nonsequentially. Sumner says this fits with his school’s commitment to inquiry-based education, which teaches students certain key skills instead of facts that they can “regurgitate” on command. Sandra Stone claims that the reason there have been so few studies over the last two decades is that most research has been centered around testing and curriculum. Friedlaender adds that the old research may have been skewed by small, especially rural, elementary schools that resort to multiage classrooms for budgetary, not philosophical, reasons — it is cheaper to have one teacher for two grades — and do not provide the extensive teacher training necessary. And, of course, none of the studies involved adolescents. “Multiage education is a catalyst or an additive for what we are trying to do here but it is part of a larger ecosystem,” explains Larsen. Both Larsen and Sumner see multiage as one ingredient among many others found in progressive schools: a small-enough student load to allow teachers to personalize instruction; a structure that allows teachers to really get to know each student; and project- and inquiry-based learning that is driven by questions and discussion, not textbooks and lectures. Schools that buy into these approaches can also flourish without multiage education, but advocates say it enhances the mission. Comparing education to sports, the issue is mainly that schools are mainly designed to be competitions not trainings. Grouping individuals by age is just a way to ensure equal opportunity in exams and raise the credibility of the final certificate. Many sports, like basketball and soccer, do the same: they use age as an indicator of physical maturity and group kids accordingly. Other sports, like Kung Fu and Judu, use weight as an indicator while grouping kids in a multiage manner. Apart from the aim of schools, it is also crucial to look at multiage grouping as a stage of development rather than an ideal approach. The further, fairer step would be competency based grouping. Such an approach would require a radical change in the evaluation system, though. There would be a need to shift exams from measuring completion of materials to evaluating mastery of skills whose development the academic content is supposed to incubate. Only then we would manage to assess competency and group individuals according to it. It was exciting to see this topic because I heard someone mention this awhile ago on a podcast and it has stayed with me ever since. So it is nice to have this opportunity to hear more thoughts about this! Thanks for pointing out one of the main reasons multiage groupings don't happen. I didn't think that the scheduling, curriculum mapping, and No Child Left Behind testing would be the key, but it makes sense. But the ideas you illustrate about how a student may only have master 75% of the 9th grade content and could use the second year in the same setting to help them get back on track. That seems like it could trump some of the things that are hindering further adoption of these types of programs.